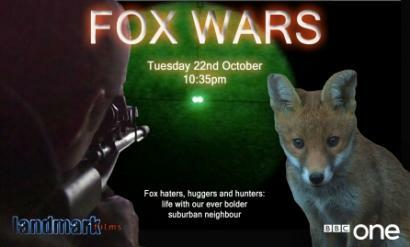 Fox huggers, haters and hunters: the 33,000 urban foxes which roam our suburbs provoke violently polarized reactions. Fox feeders lay out ever more elaborate treats and spend whole evenings entranced by the antics of their night-time visitors. Those who try to keep chickens, rabbits or merely a well-tended garden tend to be less charitable and, occasionally, more murderous in their approach to Vulpes Vulpes - the red fox.